UK-based Cameroonian artist Julz has collaborated with gifted singer Ama Fru on a solid dancehall opus dubbed “Boom Boom”. A great tune , formidable shindig vibe . Worth-noting this club banger comes after his internationally recognized hit “Go down” . UK-based Afro-pop singer and rapper Julz just unveiled the visuals of his mega hit “Go down” under AfruMusic . An energetic dance video to savour ! UK-based Cameroonian artist Julz sparked controversy and frenzy when he dropped a hilarious yet thumping tune concerning the Buea girl and “bushfaller” incident, a couple of days ago. The Afro-pop sensation has wasted no time to follow up with a solid club banger titled “Go down” produced by Ama Fru. Julz is definitely a force to reckon with. Listen and share this artistry ! A few weeks after dropping a thunderbolt club hit ” Bruce Lee” , UK-based rapper/singer Julz drops his follow up single titled “Banana” . The song is solid and embellished with a tuneful delivery. Produced by Ama and Le’Drae. “See that small ngondere, I go show you the banana”. 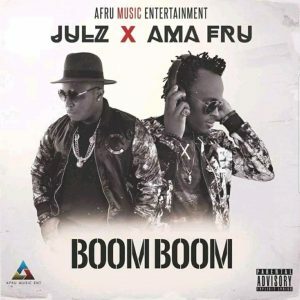 UK-based rapper Julz has released the anticipated video of his solid club song ‘Shi Shi’ featuring RnB sensation Ama Fru. The audio went viral following its release early this year. The video deserves acclamation. 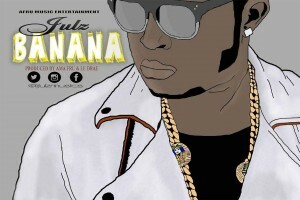 UK-based rap star Julz is definitely inscribing his name on the urban music platform in Cameroon. His fresh single ”Shishi” which features Ama Fru is a hot club banger for you to nod your heads to. Well-coated with Camer-parlance, his lyrical content is quite original , catchy and of course en vogue . The tune looks propitious for the streets. Julz , Bamenda based Hip Hop overrated artist is back with these smoky club bangers. He is the artist with the greatest street credibility in the city. The first song is ”Like a drummer” and the second is ” Tell me something” . They are extracted from his forth-coming mix-tape. Don’t know about who’s on the hooks. Men! The vocals and the instrumentals are simply professional. Julz is an amazing metaphorical lyricist. He wants you guys to listen to his songs and give your comments. He will embrace your criticism. He is currently hooking up the mixtape that will be released sometime soon. Visit his page www.reverbnation.com/dajulz to listen to more of his songs and join his fan page.